Featuring excellent, open source, open pollinated varieties grown on certified organic farms by experienced seed stewards in several western states. We've got beans in our ears! 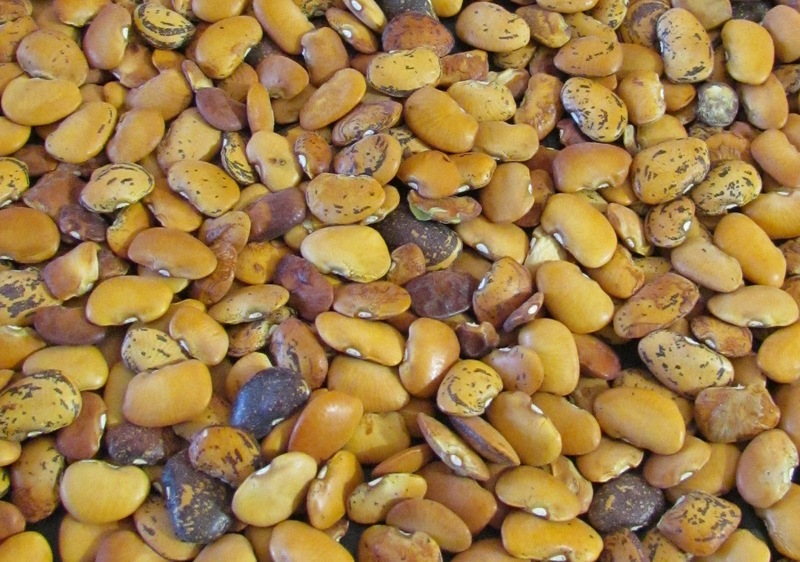 Lots of new varieties of dry beans and limas are now available in limited quantities, up to 1 lb. units. 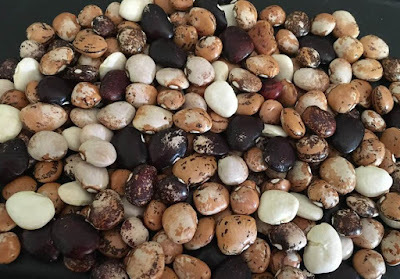 Legumes are one of the easiest crops from which to save your own seed, and these are all outstanding varieties, with built-in disease resistance. Pictured is Winfield Pole Lima Bean. Seed rEvolution Now is one of many small, bioregional seed companies that have been springing up as a reaction against the trend toward the monopolization of seed and, indeed, our entire food system. 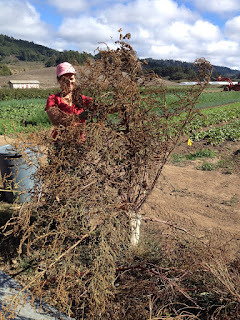 We work in and around the San Francisco Bay Region, collaborating with organic produce growers and gardeners. We raise some crops ourselves, both for seed and in comparison trials. We also carry seed grown by long-time organic seed specialists. After first meeting while working in a Chadwickian garden in Santa Cruz, CA in 1974, Steve and Moria Peters set out on a lifetime journey centered on organic agriculture and seed saving. After helping to establish a community land trust in upstate New York, Steve earned an Ag degree from Cornell. 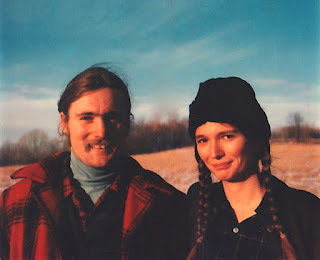 Later, both worked at the Rodale Institute in PA. Moria was an estate gardener in Santa Fe, while Steve worked for Seeds of Change. Next he served a stint with Native Seeds/SEARCH. Their combined experience in working with plants totals around ninety+ years. Upon finally returning to California, they founded Seed rEvolution Now! This is definitely a different kind of seed catalog. Our mission is our highest priority. We want to empower you to grow and save seeds that nourish you and your community. Hence we are offering a sampling of tried and true varieties that you can reproduce and begin your own seed journey. As seed stewards you can continue to maintain existing varieties, or you can create new ones by making novel strain crosses. Under the auspices of the Organic Seed Alliance (OSA), we offer classes and presentations on seed saving, cleaning, and marketing. We focus on open pollinated (OP) plants, because they allow a farmer to develop their own seed production and breeding pursuits. Growing open pollinated seed gives a farmer the opportunity to save, select, and improve varieties that are optimally suited for their farm. Many market farmers still prefer to grow hybrids, as they often have higher yields, more uniformity, and improved crop quality. Hybrids, however, will not produce true-to-type seed, making them unsuitable for on-farm seed saving. As a result, most commercial farmers have become completely reliant upon the seed companies to provide the genetics they need. This is a major reason for the seed industry's focus on hybrids and other proprietary seeds, such as GMOs. Over the past sixty plus years, vast public and private resources have been invested in commercial F1 hybrids (first generation crosses), while open pollinated crops were almost completed ignored (except for OP-only crops such as lettuce & beans). If OP breeding were to be given even a modest amount of support, a host of significant agronomic and horticultural traits including yield, uniformity, and disease resistance could be achieved across a wide range of crops. Most crucially, OP seed must be held in the public domain to ensure free access to that seed for future breeding and development. The 1970 Plant Variety Protection Act (PVPA) was enforced so that breeders could be compensated for their work. It demanded a royalty payment from anyone selling the seed, but at least it did not prevent someone from using it as breeding material. Innovation within the industry continued. With the advent of GMOs within the last 20 years, PVPs have largely been replaced by the much more restrictive Utility Patents, which completely prevent the use of protected varieties for breeding or on-farm seed saving. Only a handful of large corporations own these seeds, and innovation has been stifled because valuable genetic material has become unavailable to the breeding public. 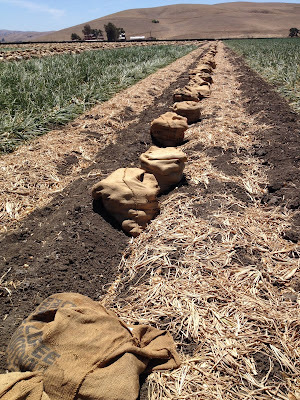 Newly bred varieties of OP seed may be vulnerable to these patents. A recent novel approach to keep seed in the public domain has been the Open Source Seed Initiative (OSSI), which essentially promotes the concept of ethical seed sharing by committing to the following pledge: "Anyone purchasing these OSSI-pledged seeds has the freedom to use them in any way you choose. In return, you pledge not to restrict others' use of these seeds or derivatives by patents or other means, and to include this pledge with any transfer of these seeds or their derivatives". We provide seed from experienced, certified organic growers whose expertise ensures highly productive, reliable crops. All of our varieties are open-pollinated and in the public domain. The one exception that is under a licensing agreement (i.e. not in the public domain) is Green Finger Cucumber, as is explained in that entry. 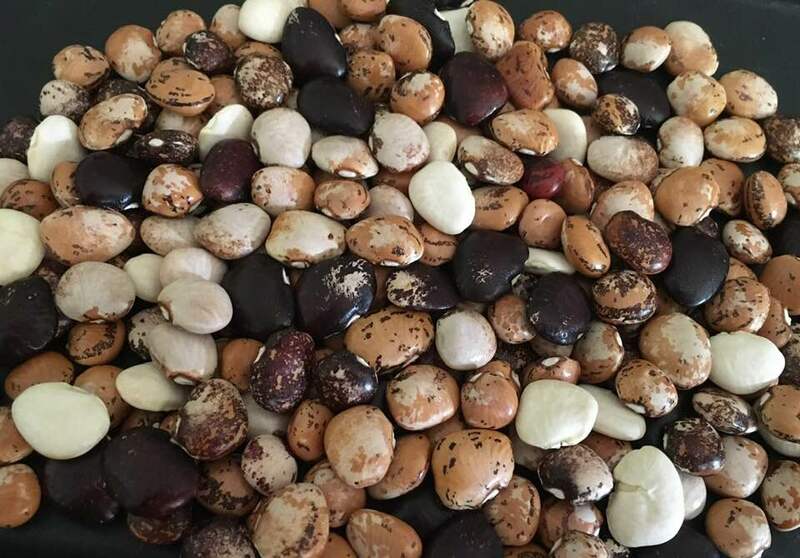 Most of our seed is available in limited bulk quantities at wholesale prices, recommended especially for organic market growers and small regional catalogs, and is a sufficient quantity for the grower to produce good seed. We also offer packets for gardeners and for trials. Steve Peters has decades of organic agricultural experience under his belt. 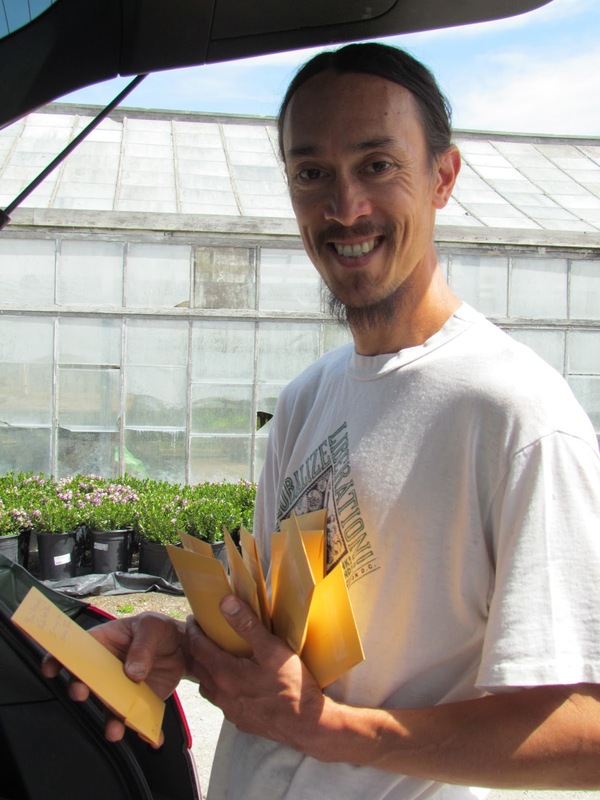 He spent nine years as a Research Agronomist at the Rodale Institute Research Center, 15 years as Seed Production Manager at Seeds of Change, and many more working independently as a farmer, seed advocate, consultant, and educator. He works as an independent contractor for the Organic Seed Alliance (OSA), as well as running Seed rEvolution Now! The varieties listed here are examples of the best of traditional Open Pollinated breeding. With one exception (Green Finger Cucumber) all our varieties are in the public domain, and you are free to save and use the seed you grow. Crops are listed alphabetically by common name. Snap beans are also known as green beans or string beans, since the old varieties contained a tough string which had to be removed prior to cooking. Savvy seeds folk bred out the string, and now they're a snap to prepare, and so the name was changed! A determinate green snap bean, relatively early-maturing, with very long, straight pods that are exceptionally tender and sweet. This variety was developed at Oregon State by vegetable plant breeder Jim Myers, particularly for the fresh market grower. The 4" pods maintain good eating quality for a long period on the plant, allowing for a wide picking window. 55 days to fresh snap stage. 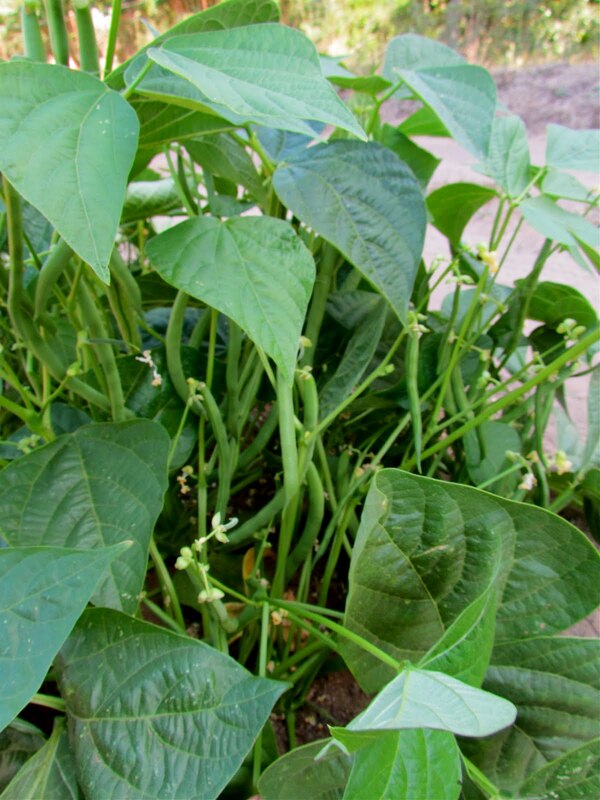 This refined, high-yielding bush bean has great tenderness and rich flavor. This is the bean that our 101-year-old mother found especially delicious. Even at a larger size, when any other bean would be woody and tough, this one is still delightfully crisp and yummy. Farmer Bill decided it was so far superior to the other Blue Lake variety he'd been growing that he plowed in the entire crop of the loser, rather than sell an inferior bean when he could offer this one! 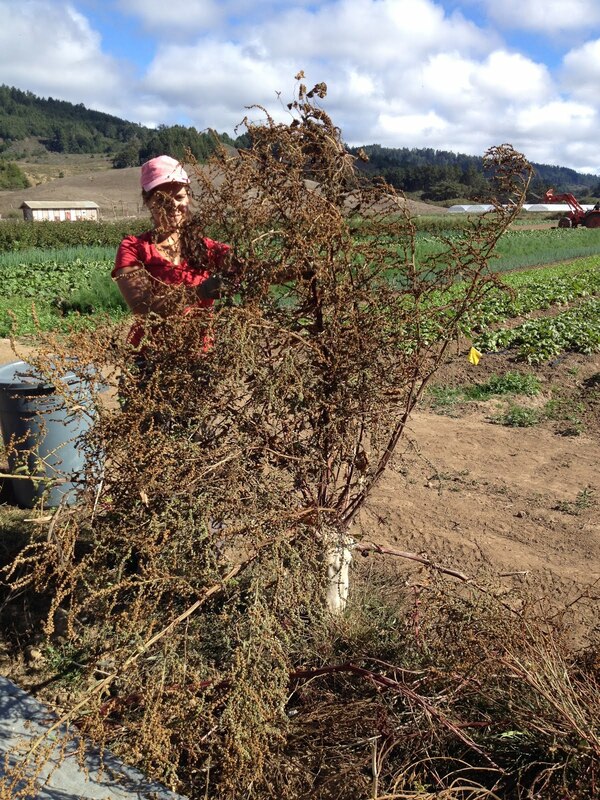 Dry-farmed by Bill on the Eel River. "It's so sweet!" exclaimed Elsie, on tasting OS Blues snap bean. Pack ( 50 seeds) ~ $3. Please call to inquire about larger quantities. Runner beans thrive in cool coastal climates, and are much beloved in England. However, we have had success with this species in southern Arizona. We encourage trying it in your garden, wherever you may be. The hummingbirds will thank you! Plant a beautiful living fence and attract hummingbirds! 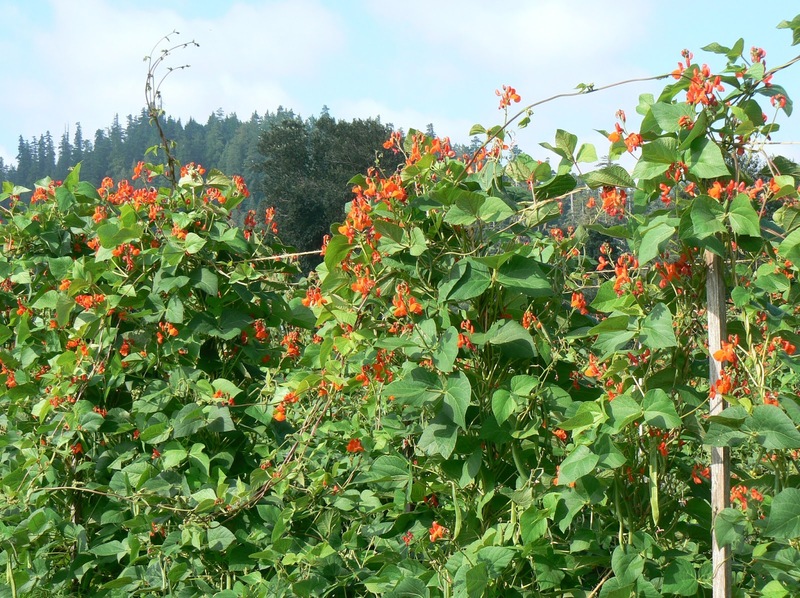 These multi-purpose beans add beauty to the garden with flaming scarlet flowers that attract butterflies and hummingbirds. A fast growing climber noted for its high-quality eating as a fresh snap when bean pods are young, as a green shell bean, or as a dry bean. The beautiful, mottled purple and black mature seeds have traditionally been used for ornamental and ceremonial purposes. Continuously harvest for a long season of eating. 55 days to fresh snap stage. An arched trellis is easily made, makes harvesting simple, and creates a lovely passage in the garden. This runner bean grows quickly to 12' or more, making a beautiful, quick screen....we like arched trellising (as shown) to facilitate picking. The beans may be eaten at three stages. As a snap green bean of exceptional flavor when young, these have long been a favorite in Britain. When the pods swell, the beans may be removed and eaten as shell beans, rather like edamames or limas. They are excellent in minestrone. They may also be used as a delicious dry bean when fully mature. Dry-farmed on the Eel River. Germ test on Scarlet Runners ~ 99% germ! Pack (28 seeds) ~ $3. 1 lb. (approx. 500 seeds) ~ $20. 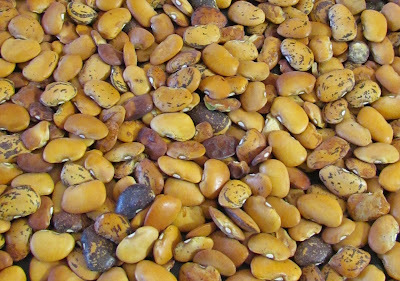 Dry beans of the Phaseolus genus originated in the New World. While some of these varieties have been bred for use in the green stage, others are harvested in the dry, mature stage. These provide an easy-to-store source of complex proteins, starch and dietary fiber, making them a useful staple in the diet. 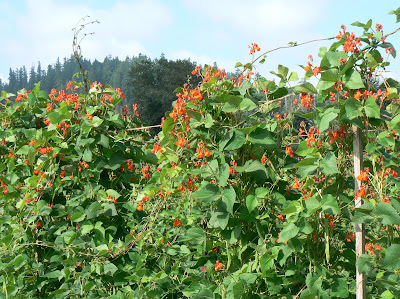 Beans grow across a wide range of climates, although it is best to avoid extreme heat (above 90 F) during flowering. They are also one of the simplest plants from which to save seed. The dry (common) beans we offer have been bred to have common bean mosaic virus (CBMV) resistance, a true boon to organic growers. Another Steve Temple variety, this is a longer season type 2 bush type, which is slightly larger and has a semi-determinant growth habit. This selection is notable in that it resists shattering, and thus offers a higher yield than other cranberry types. Seeds are pale pink with rose splashes and streaks. Andean origin. There are two distinct types of Lima beans, one which originated in the Andes around 2000 BCE, has large seeds. The other, smaller-seeded, originated around 800 AD in Mexico. This type is often called butter beans. Limas can be grown in a wide variety of climates and can tolerate cool and hot temperatures. All these selected varieties have shown significant resistance to Lygus bug. Small round flat seeds in a beautiful array of colors and patterns, as befits the name. Vining growth habit. Small, round deep pink seeds with deep purple spotting and mottling. Bush growth habit. Medium sized flat tan seeds with black and purple splashes. Bush growth habit. Striking black-violet patterning on clean white flattened seeds. Vining growth habit. Beautiful deep golden-orange seeds marked with red-violet to black. Developed and maintained since at least 1000 AD by the Gila River Indian Community of southern Arizona, Pima is particularly well suited for hot and arid environments and highly alkaline soils. Vining growth habit. This is by far the largest Lima bean we offer. Beautiful, flat white seeds marked with burgundy spotting from the hilum make a striking contrast. Vining growth habit. An OP breeding breakthrough! Growers have long hoped for an edible harvest from their cover crop. Now we have one. This 'bell bean' type fava is a robust, highly productive winter & spring cover crop, growing 5-6' tall. Sweet Lorane has been selected for its edible seeds. OP recurrent selective breeding has removed the bitterness from these beans! Note original purple favas in photo, compared to the new selection of edible green Sweet Loranes. This variety was originally developed from a purple bell bean by plant breeder Steve Solomon. He specifically selected for winter hardiness and sturdiness. He also discovered that there was a better flavor in the occasional seeds with a lighter green hilum (the small scar that is the seed equivalent of a belly button). 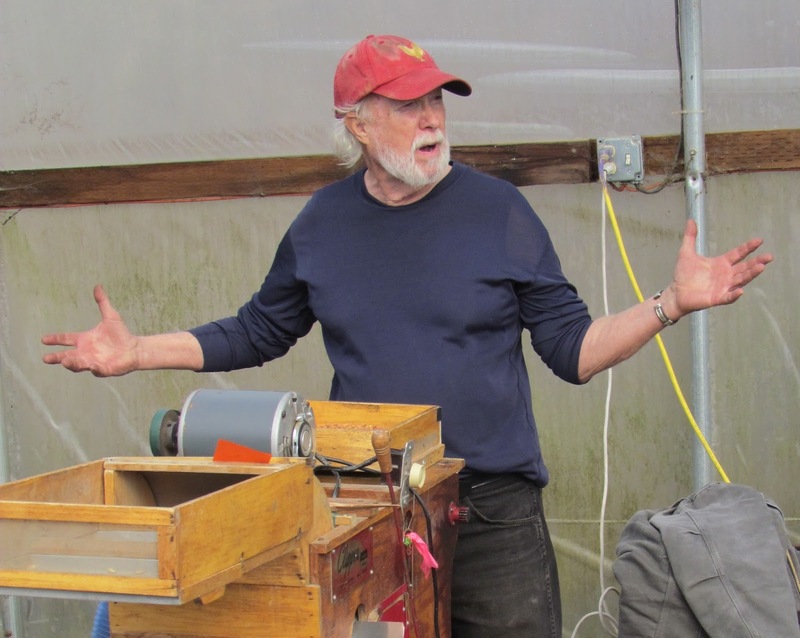 At that point, Alan Adesse, an experienced organic seed farmer from Oregon, took over the breeding project. Within just a few years of hard selection, he developed this excellent, hardy, high-yielding edible fava bean. We recommend this versatile variety...still a great cover crop as well as a tasty, high-protein food! Plants benefit from trellising but it can be grown unsupported as well. Pack (50 seeds) ~ $3. Expected back in stock for spring of 2020. These are a smaller, darker type than the large, blond chick peas with which most American are familiar. 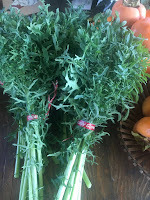 It is a "desi" type, more flavorful and much preferred in India, the Middle East, and North Africa compared to the blander, pale "kabouli" type grown around the eastern Mediterranean. In our experience, desi types are more easily grown than kaboulis, as well. Dense foliage at onset of flowering at our Gilroy field trial. Garbanzos are similar to peas, in that both are frost-hardy plants that are best planted in cool conditions. 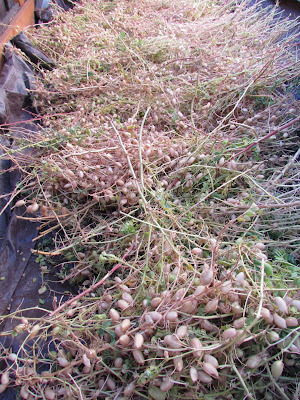 However, unlike peas, the garbanzos, once established, thrive in hot, dry weather. 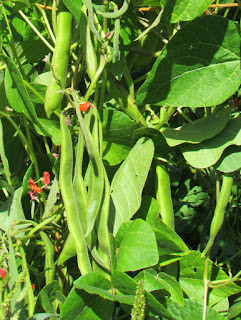 Being a legume, they contribute valuable soil nitrogen and make for a good rotational crop with other vegetables. Garbs can be eaten in the green shell stage about 80-90 days after planting. Full dry seed maturity is reached after 120-140 days. Most pods yield only 1-2 seeds, however, they are easy to thresh and quite productive. This variety, originally from Morocco, came to Seed rEvolution Now from eastern Oregon organic seed grower Munk Bergin. 1 /2 lb. ~ $10. Unusual slender, 6" long beet that is ideal for canning and pickling. It has a particularly deep red interior and extraordinarily sweet flavor. This is a real gourmet item. 50-55 days. This 2" wide by 5" long heirloom is very similar to Cylindra, which derived from this source. It has a rich, earthy sweetness, the smooth skin is easy to peel, and roots hold a long time in the ground without becoming "corky". The strong, healthy tops make great beet greens. 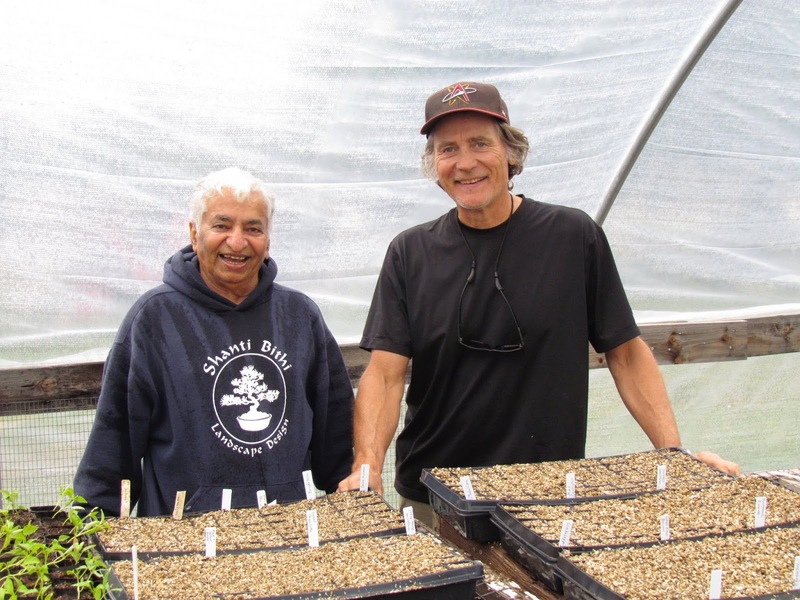 When seed for this favorite market variety became impossible to find, the farmers of Fifth Crow Farm on the Central California coast were trained by Seed rEvolution Now's own Steve Peters to save the best of their remaining crop to re-plant for seed, with epic results. Now the farm's seed source is secure, and we have ample seed to share! 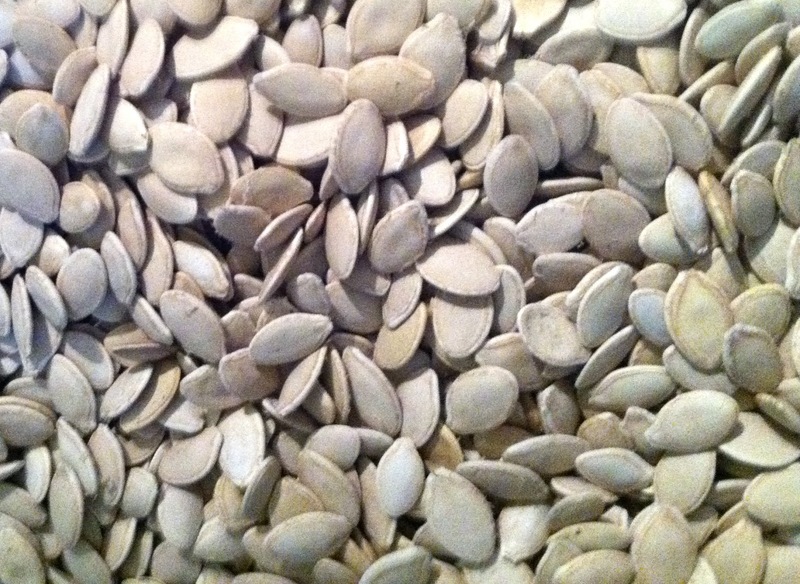 Pack (180 seeds) ~ $3. This fast growing, dual-purpose beet has outstanding vigor, a round smooth shape, dark red color, and delicious tall beet green tops. Bred specifically for organic production, it is Rhizoctonia-resistant. Shiraz can be sown in the spring for summer harvest, 55-60 days, or in the fall for winter harvest, 70-80 days. This beet was developed specifically to meet the needs of organic growers, and its success demonstrates the great potential of targeted open-pollinated breeding. A serious disease problem for organic growers is rhizoctonia, which causes pitting and roughening of the skin on beets. Shiraz was bred to resist this fungus. 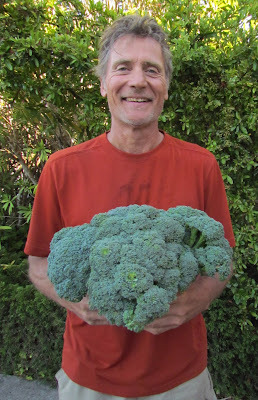 Organic Seed Alliance plant breeder Dr. John Navazio worked with farmers Randy Carey (OR) and Bill Reynolds (CA) over a number of years to perfect this variety, which proved superior to almost all other OPs and hybrids in variety trials. This dual-purpose beet combines a strong, large top for tasty greens with a sweet, smooth-skinned, round, deep wine-red root. Pack (200 seeds) ~ $3. 1 oz. (approx 2700 seeds) ~ $8. Solstice is named for a good reason. It produces heads 2 weeks before main season varieties, at the summer solstice, and can be planted again in mid-summer for a fall crop. Blue-green heads, 3” - 5” in diameter are produced high up on the stalk for easy harvest. These primary heads are followed by many secondary florets. 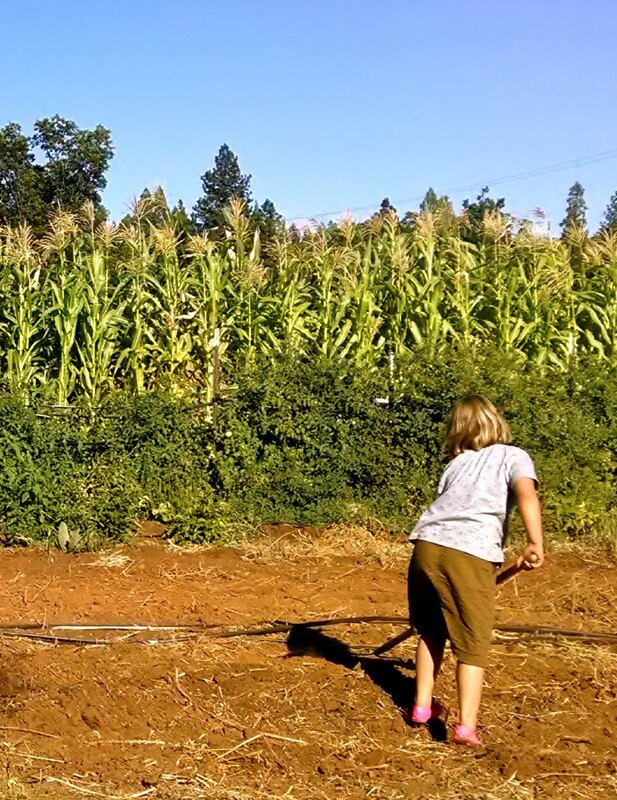 Solstice was selected over 7 generations by dedicated plant breeder and organic farmer Jonathon Spero, at Lupine Knoll Farm (OR) from seed provided originally by Oregon State University. 60-70 days from transplants. Pack (125 seeds) ~ $3. This selection of Early Green is a proven performer in a wide range of climates, from Arizona’s desert to California’s coast to Maine’s forests. The central head averages about 4” across, and is followed by a succession of side shoots, produced up until frost. The stems are especially tender and delicious and require no peeling. Excellent for home or market. Highly recommended! Re-selected by Steve Peters at Fifth Crow Farm on the central California coast. 60-70 days from transplants. After several trials and two years of hard selection, in 2015 we released this improved version of an old favorite. While the nicely domed central head is smaller (3" dia.) than modern hybrids, it nonetheless offers multiple advantages. After cutting the central head, the plant continues to produce abundant tasty side shoots for several weeks. 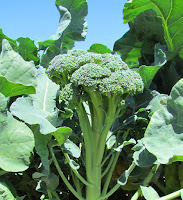 The stems are very tender, which increases the amount of edible, delicious broccoli that may be harvested. The side shoot production goes on for a long time, making this an ideal crop for a backyard gardener or market grower seeking prolonged harvest and greater overall yield than single-head, 'crown-cut' hybrids provide. Taste trials demonstrate the superiority of this OP variety, and Steve is proud enough of his efforts to put his name on it! Columbia is a particularly attractive cabbage, with firm round heads, many of which present an appealing rose blush. Columbia heads are perfectly spherical, and weigh in at 1 1/2 to nearly 3 lbs. It was a favorite in our tasting trial, crisp and juicy, with a mild sweetness and no peppery aftertaste. Columbia is one of the best of the green OP varieties. It is very solid and hard; a sure winner in a trial of over a dozen varieties grown (see an earlier post), it was as good or better than the green hybrids trialed. This fine cabbage is the result of long-time organic produce and seed grower Nash Huber's efforts at his farm on the Olympic Peninsula in Washington. It is a modern OP in the public domain. When life gives you cabbages, make sauerkraut! Best for summer-fall fresh market use. Pest resistant vigorous plants produce dependable high quality yields. Very dense, crisp, juicy heads of 5-5 1/2"diameter. Sweet, mild flavor. 80-85 days from transplants. Kurota Chantenay is an attractive orange, smooth-sided 5-8" carrot that tapers to a blunt tip. While the shoulders are quite broad they are narrow enough to enable bunching for the fresh market. Highly adaptable, it grows well even in heavy soils, and is an excellent keeper. Its bright orange color develops earlier in the season than other Chantenay and Kurota strains, imparting a sweet flavor even during summer. 80-90 days to maturity. Pack (250 seeds) ~ $3. 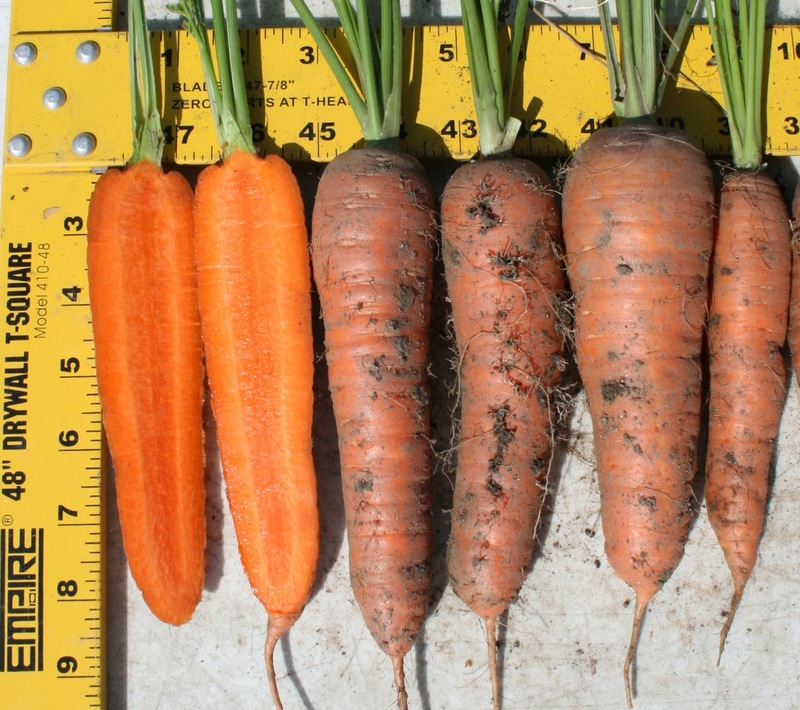 New for 2017~Nantes Coreless Carrot, a hard-to-find heirloom, believed to have originated in Mexico. Aptly named, Festivity is a celebration on a cob! A winner from the deft hand of breeder Jonathan Spero, this is an F7 hybrid selection made by crossing Anasazi with Tuxedo. He then selected the best off-spring over seven generations, and now offers this stabilized hybrid which, while slightly variable, is open-pollinated and can be grown from your own saved seeds. Festivity presents a beautiful range of colors at the sweet eating stage, which only intensify as the ears mature. White, yellow, pink, red, and blue kernels make this a treat for the eye as well as the palette. Fine eating quality at both the milk and roasting stages. 12 to 16 rows of kernels on 7-8" ears that may be as much as 2" in diameter. Expect plenty of variability in color...it's like unwrapping a gift every time! Developed in Oregon, this variety was created for growers with cool, low-fertility soils, in higher latitudes. It is somewhat cold-tolerant and open-pollinated. The multi-stalked plants often bear 3-4 ears per plant. It should be tried in the northern parts of the country, and areas of higher elevations. Grower: Steve Peters, Gilroy CA. Pack (100 seeds) ~ $5. This is a highly unusual corn that is delicious and versatile. An original series of crosses made by Alan Kapuler (aka Mushroom) of Peace Seeds, Martian Jewels combines a Hopi flour corn with an eclectic blend of normal sugary (su) and sugary enhanced (se) varieties. Such a broad genetic base gives this corn an especially distinctive look with a wide range of uses. It can first be harvested as a sweet corn, although the window for optimum picking is small. The corn has a complex, rich flavor with a pleasant, mild sweetness. As the kernels enter the dough stage and become starchier, they can be used in chowder or corn pudding. Finally at full maturity the dry corn is made into bread, tortillas, or tamales. The 6' tall plants have dark green, purple-streaked leaves, deep purple stalks, husks and cobs, contrasted with pearly white kernels. 6' tall plants. 80-90 days to fresh eating, 120-130 days to full maturity. Over the past 10 years minor refinements & selections have continued on this rare, high-anthocyanin variety. 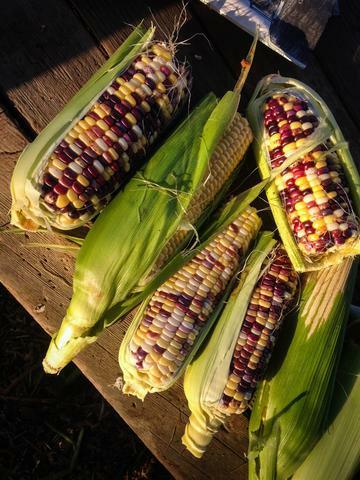 The kernels are white with purple cobs and husks, contrasting with dark green, purple streaked leaves. What a beautiful addition to the garden! 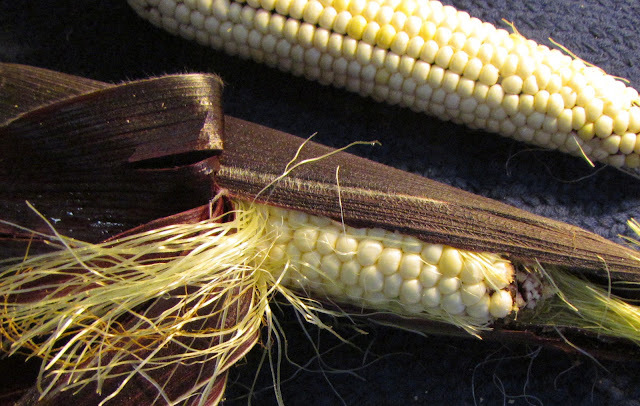 Within 80 days from seeding, dark purple husks may be opened to reveal pearl-white translucent kernels. 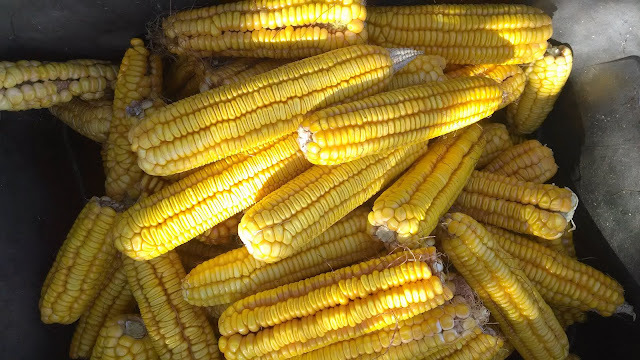 This is one of our favorite fresh sweet corns. It has a pleasant, but not overpowering sweetness, and the extra treat of a deep violet cob. What a surprise the first time someone bites into this delicious corn-on-the-cob! When the ears get more mature, it is wonderful in chowder, tamales, corn pudding or cornbread. It can also be used for flour after it fully matures. Truly a worthy variety! Growers: Redwood Seeds, Northeastern California and Steve Peters, Gilroy CA. Please don't let this bit of history disappear! Grow it and make your own hominy and grits. We are so happy to be able to offer this valuable old workhorse variety, thanks to a collaboration with Redwood Seeds. This heirloom produces two large ears on tall (8-12') plants. Their tightly husked ears resist ear worm damage. In addition to all of the food potential in its large, flat kernels, the high volume of green material makes Hickory King a good silage crop. It has good resistance to both northern and southern leaf blight. Plants benefit from an application of bone meal and protection from high winds. 85-135 days to maturity, depending on latitude and time of planting. Steve checks out the seed crop with Cam and Kalen at Redwood Seeds farm in northern California. Held in the hand of our 103 year old family matriarch, Elsie. Pack (75 seeds) ~ $4. 1/4 lb. (approx. 270 seeds) ~ $11. 1 lb. (approx. 1070 seeds) ~ $24. This is a fine OP Persian cucumber that is ideal for market growers or home gardeners. 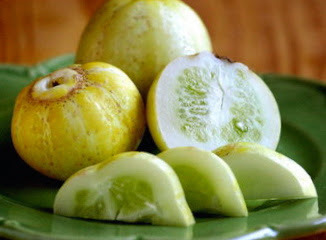 It has very thin, dark green skin, and the crisp flesh is sweet, juicy, burpless, and never bitter. It's a truly gourmet variety that is highly prolific, producing up to 15 fruits per plant. Average size is 6-8", although the fruit holds its quality and can be picked anywhere from 4 to 10" long. (of course, if you pick baby cukes, you can expect to harvest even more. 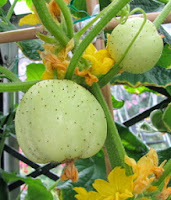 A beit-alpha type, open pollinated cucumber recently developed by Cornell University. It is one of the only OP cucumbers available that is resistant to a host of significant foliar diseases including powdery mildew, papaya ringspot virus, watermelon mosaic virus, and zucchini yellow mosaic virus. 60 days. NOTE: This variety is the only one on the SrN seed list that is NOT held in the public domain. We received stock seed from Cornell (the owner of the seed) and entered into a Material Transfer Agreement (MTA) with them. When we produce seed of this variety and then make it available in the market, we have agreed to pay the owner a royalty for each sale made. Therefore, you may save some seed of this variety for your own use, but must have an MTA if you choose to sell it. If you use Green Finger as a breeding parent to develop another variety, you would pay a royalty that is proportional to the percentage of genetics that Green Finger contributes to it. Pack (25 seeds) ~ $3. Reliable, well-loved heirloom from the 1890’s. Oval to round, apple-sized, yellow fruits are succulent and sweet with thin, tender skins. Best eaten fresh right out of the garden, although it is also a good keeper. 70-75 days. This heirloom cucumber is now gaining in popularity as foodies discover the natural digestibility and enjoyable sweet/tart flavor of this long-time gardener's favorite. Lemon cukes are easy, reliable and highly productive. Best grown on a trellis, although it is not a requirement for big harvests of sprightly, juicy, crisp cucumbers. Pack (65 seeds) ~ $3. Here is a truly superior variety of kale: tender and sweet, with finely frilled leaves. 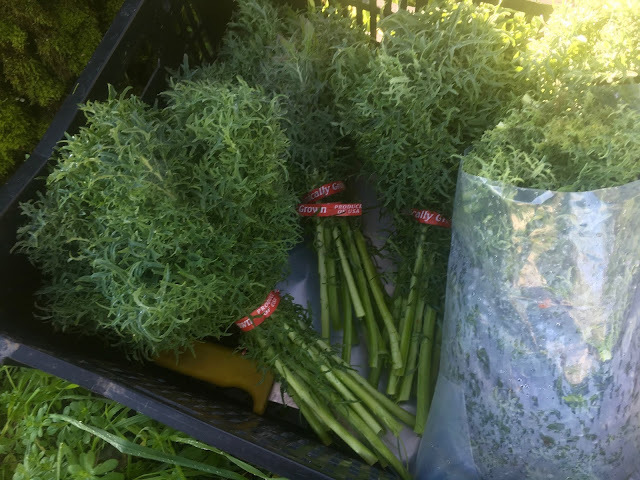 It is delicious cooked, or raw in salads, and makes a stunning garnish. It produces well into the winter. We are delighted to offer it! Our friend, seedsman Jonathan Spero, selected and refined this exceptional variety at his farm in southwestern Oregon, from a mix of B. napus seed he received in 2000. 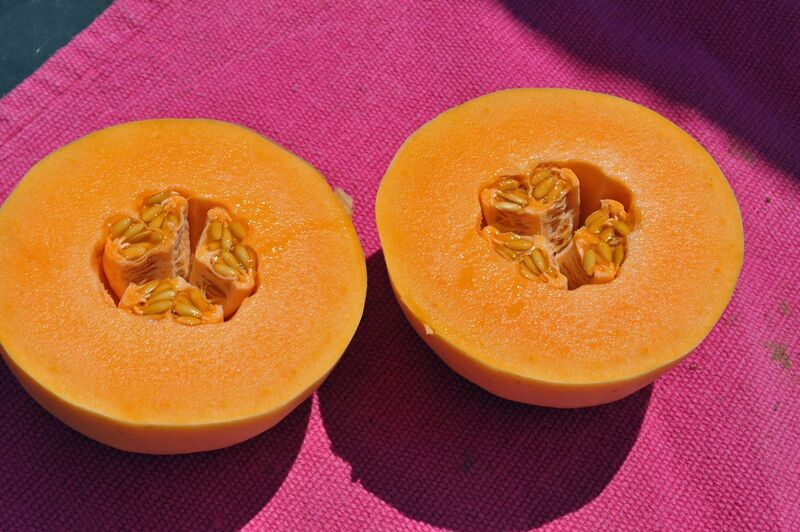 This orange-fleshed melon was bred in Northern California after WWII, and mixes the best of Japanese and European melon genetics. Its pointed shape and thin, spotted skin is unusual, and this melon is a gem. It's noted for its delicious peach flavors and creamy texture. Re-selected by Eel River Produce (CA). A regional favorite, this special melon was developed originally by the infamous lumberman Bear Jones of Shively, in Humboldt County, California. As the story goes, Bear's cousin brought some melon seeds back from his stint in Japan after World War II. The so-called "Jap Melon" was delicious, but had an unfortunate tendency to go soft at the stem end of the fruit. Bear crossed it with a popular OP muskmelon, which improved it by adding surface netting. 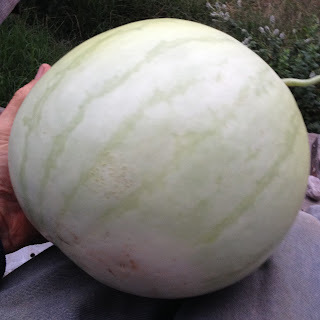 At some point it attracted the attention of another seed saver in the area, who did his own improvements and sold it as the now locally famous "Crane Melon" which is similar, but not identical to our Eel River Melon. 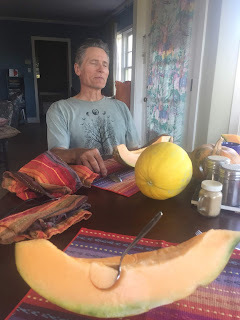 Bear entrusted the seed to his neighbor Bill Reynolds, who added more genetic diversity, firming it further, and perfecting this sweet, creamy, aromatic, delectable, peach-like melon. This is dry-farmed on his river bar farm. It is reliable and productive in the field. Highly recommended! Huerfano Bliss is a fantastically delicious orange honeydew, nearly unknown outside of its ancestral home in southeastern Colorado. 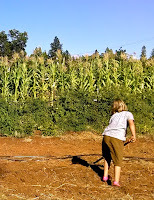 Last summer we spent a delightful day at at Open Circle Seeds farm in the Potter Valley in northern California. This is a region famed for its melons. 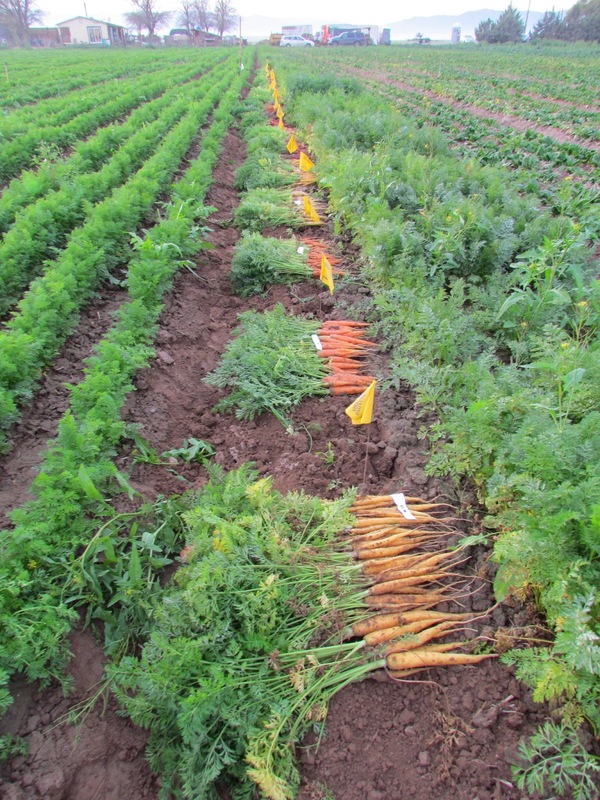 Our hosts had grown over 100 different varieties in a huge trial. This melon was their very favorite of all! Ours, too. It is fantastic! 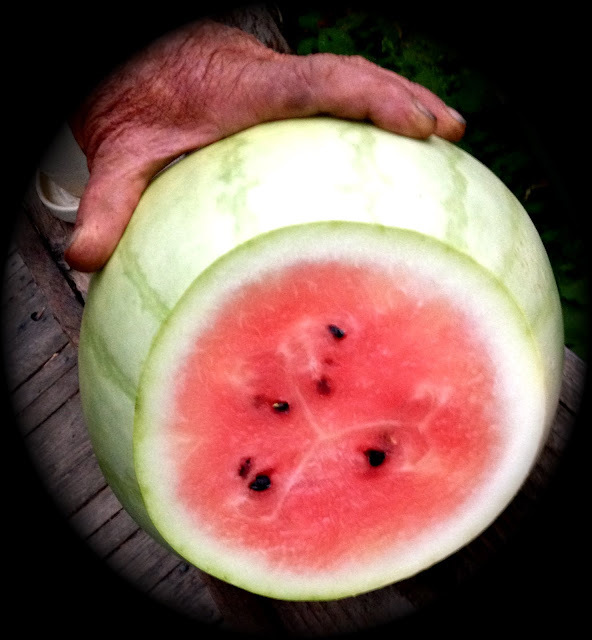 A rare icebox-sized watermelon with terrific flavor, texture, and storability. Also known as "Ice Cream" watermelon. Averages about 8-12 lbs. 80-90 days. This delicious, crisp, juicy melon is famous for its keeping ability, storing easily into the winter; hence the name. Bill Reynolds of Eel River Produce has been dry-farming this for produce markets and for seed for quite a few years now, and it is a proven winner. Ranging from the size of a volleyball to a basketball or a bit larger, with an unusual pale green skin that contrasts nicely with the deep peachy-rose sweet, fragrant flesh. This is a great watermelon. These offerings represent the best Open Pollinated performers of the Organic Seed Alliance variety trials Steve has conducted. 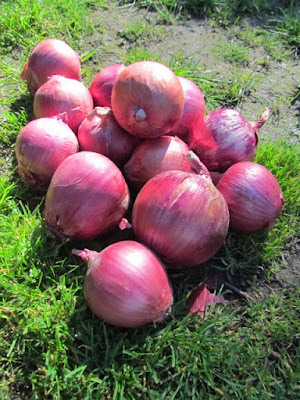 There aren't a lot of great red storage onions available and even the hybrids aren't particularly impressive. Here's one that really stood out in our trials. Bennie's Red is a beautiful, solid red onion with lovely pink interior color, above average keeping quality, excellent neck closure, and minimal disease susceptibility. Originally developed in the Arkansas Valley of southeastern Colorado. Consistent producer of 2-3" very round, glossy bulbs, with very few doubles. Best for intermediate to long day conditions (35º - 45º N). Pack (150 seeds) ~ $3. 1/8 oz. (875 seeds) ~ $8. A Seed rEvolution Now exclusive! This worthy onion is not to be found elsewhere. Please join us in saving seed for this excellent keeper if you possibly can. Absolutely impossible to find. Let's keep this wonderful OP onion going. Here is an ideal OP onion for organic markets as well as home gardeners. A bit smaller than the hybrids normally grown commercially, this nevertheless stacks up very well against them in our trials. It is a reliable, heavy producer of 2-2 1/2" diameter round yellow onions with beautiful glowing golden skin. Absolutely no doubles in our trials! The tight wrappers, great neck closure and dense, solid flesh means they are exceptionally long keepers. Beautiful golden skin glows in the afternoon sun, hinting at the quality of the white layers it protects. Onions shown after six months of storage in a cool shed. Best for intermediate-day conditions (35º - 42º N). Developed and maintained by long-time seedsman and produce grower Rich Pecoraro on Abbondanza Farm near Boulder, Colorado. 1 oz. (7000 seeds) ~ $32. 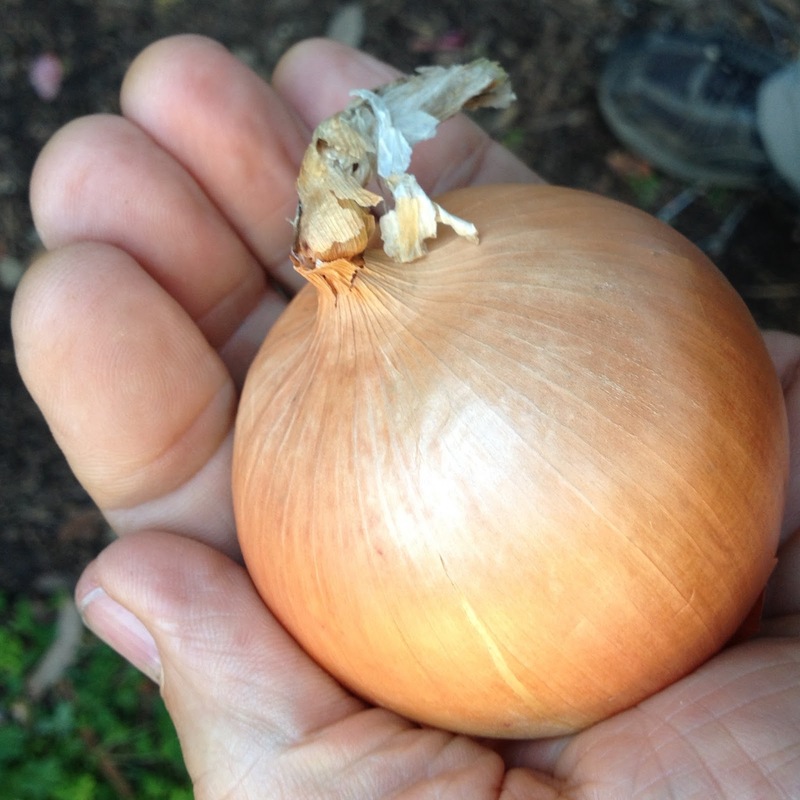 Another great onion from our trials! This outstanding yellow storage onion was developed by Irwin Goldman, a long-time public plant breeder at the U. of Wisconsin. 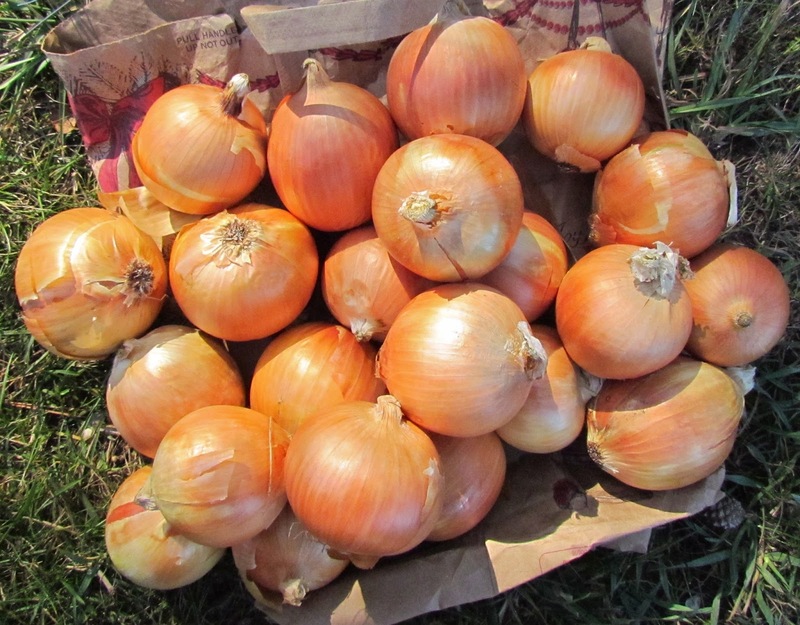 While it is somewhat similar to Front Range Yellow Globe, this onion matures 5-10 days before FRYG, and it doesn't store quite as long although it's still an excellent keeper. It reliably produces bulbs with great neck closure and there have never been any double bulbs in our trials. Intermediate to long day type (36-50° latitude). 95-105 days from transplants. Outstanding open pollinated red onion. This rare Italian heirloom has a distinctive coppery-red glossy skin and a blocky, flat-topped bulb, 3-4" in diameter. Interior color is white with pinkish-red layers and flavor is mildly hot. It keeps exceptionally well, consistently storing until June (up to 9 months). Intermediate to Long Day type, (36-50˚ latitude). 110-120 days from transplants. One of the best red storage onions available, this beautiful Italian heirloom is an outstanding performer north of 36º (in California, that's just south of Salinas) up to the Canadian border. It keeps the longest of all the red onions we've seen. Beautiful glossy, tight copper-rose wrapper skins and distinctive flat-topped form make this a standout in the marketplace. Interiors are nearly white. Sought after by chefs in the know. In our raw taste trials, it had a slightly sweet, pleasant pungency, even after six months in storage. Best for intermediate to long-day conditions (36º - 48º N). Here is a sweet pepper whose time has come! We won't beat around the bush. We've tasted a lot of peppers, and this is hands-down the most aromatic, crunchy, delicious one around. It is quite thick-walled and meaty as well. Lovely stuffed, especially as the skin is tender so that it doesn't need to be peeled, as so many roasters do. Chefs will be inspired! This heirloom variety was originally developed in Spain for making paprika. That's about the only thing we haven't done with it...yet! Serve it raw with a dip, or in salads. It's so good that children will enjoy it as a vitamin-packed crispy treat. Each plant will produce eight to twelve fully ripe 3-4" diameter fruits (or more with an extended season). Dry farmed on the Eel River. Pack (30 seeds) ~ $3. 1/8 oz. (545 seeds) ~ $12. This old favorite full-savoyed type has dark-green, thick, succulent, flavorful leaves. Compared with the heirloom standard Long Standing Bloomsdale, it is slower growing and slower bolting to seed as long as conditions remain relatively cool (<75° F). It is well suited for growing over-winter, as it stands up to severe conditions. It may also be grown in early spring for early summer harvest, and in the fall for early winter harvest. A favorite of both gardeners and chefs. 45-50 days. If you are a long-time gardener, you will remember Winter Bloomsdale, but have you tried to find seed for this old standard lately? 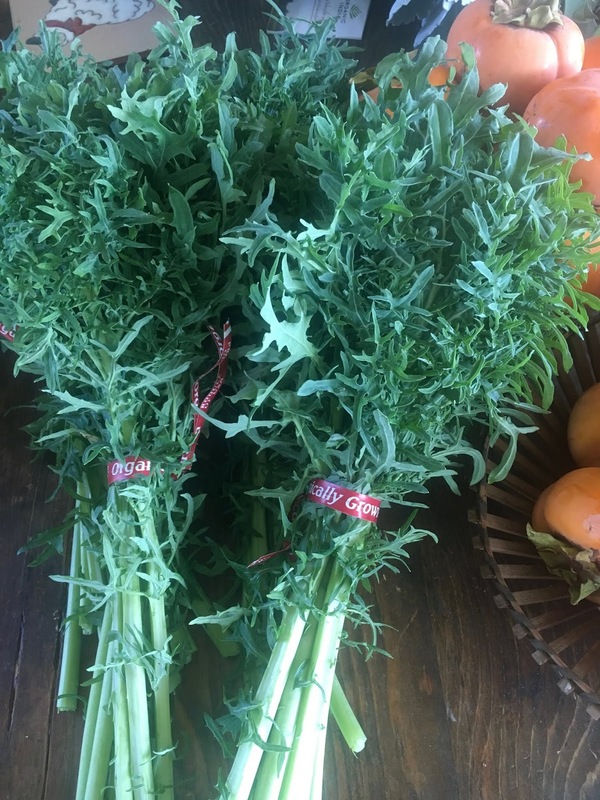 It has become very difficult to locate, as the market has been taken over by smooth leaf varieties so popular as baby salad greens. But they can't compare to the thick, succulent, substantial, flavorful leaves of this traditional savoy type. A close examination of the leaves may remind one of the arched trusses in a Gothic cathedral. The curvilinear ribs serve the same purpose; to support more weight! Now that Slow Food has gained acceptance, it is time to revisit this almost forgotten old favorite. It's just better eating! 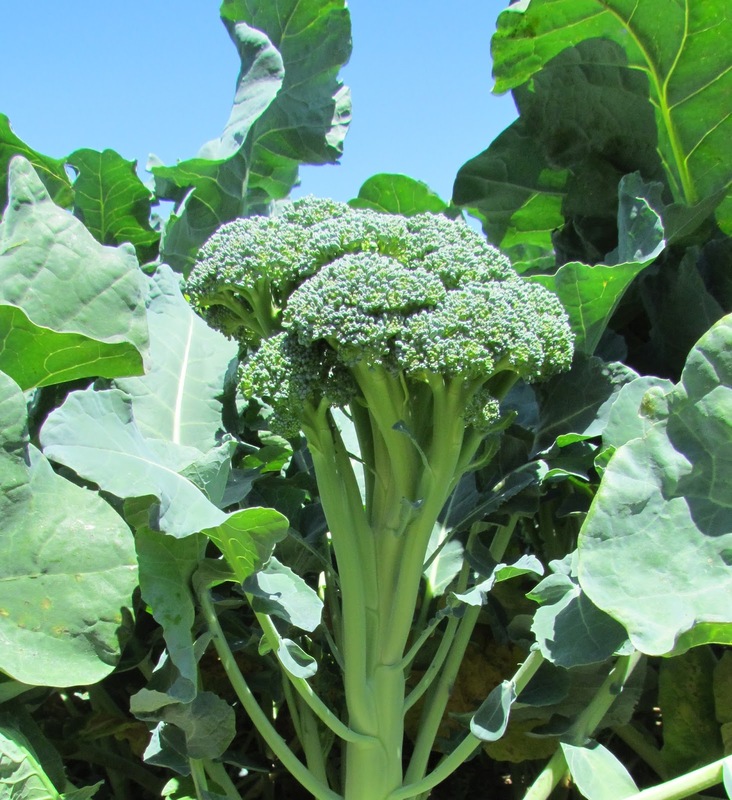 A dark green, straight, glossy, faceted, delicious zuke with an open plant habit, exceptional vigor and the ability to recover from environmental stresses. A dynamic collaboration between breeder John Navazio and farmer Bill Reynolds led to this outstanding variety that displays a multitude of valuable traits. Its unusually high levels of the carotenoid lutein gives the inner flesh a slightly golden cast and a nutritional boost. Bred under dryland conditions, a stronger root system helps Dark Star thrive under droughty conditions. 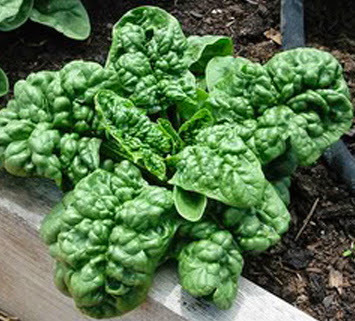 As an unexpected bonus, it also exhibits some resistance to a number of diseases including powdery mildew, and even has some frost tolerance. Expect high yields of good quality zucchinis over a long period. Best grown in the West and Southwest, where solar radiation levels are high. 50-55 days. well-adapted plants developed a deeper root system. The resulting plants are about 1/3 larger than the select hybrid varieties commonly grown by produce farmers, and 1/3 more productive. The plants have an open habit, for easy picking, and the leaf stalks are sturdy and nearly spineless, for less scarring of fruit. Dark Star proved its merit on a large organic produce farm in Mexico. Here you can easily see that the plants are both larger and a deeper green than a leading hybrid variety, which is on the left. Farmer Bill poses proudly beside his plants. Because it is an OP, it continues to produce both male and female flowers throughout the season, resulting in a much longer period of productivity, with none of the malformed fruit which are often produced late in the season by hybrids. Dark Star is recommended for summer dry, sunny regions, where it is outstanding. It does not do well in low light, wet areas, where it tends to have more vegetative growth (although we have received some rave reviews from Eastern growers as well). If you want the best zucchini for the Western states, we sincerely believe this is it! Dry-farmed on the Eel River. Winter squash, so called because it can store well into the winter, has been a staple on this continent for thousands of years. A medium-sized (2-4 lb), round, flattened Kabocha/Hokkaido type winter squash with an attractive slate blue skin. The rich orange flesh has a pleasant dry, flaky texture and an exceptionally sweet and nutty flavor. A favorite among our tasters! Stella Blue is particularly high yielding for this type of winter squash. 95-105 days. Our all-time favorite winter squash! 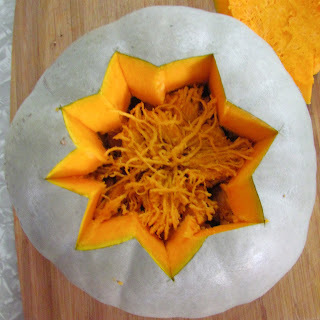 This Hokkaido or Kabocha-type Maxima, a type highly prized in Japan, often used in tempura. Stella Blue has richly flavored, dense, dry sweet flesh, with a texture reminiscent of roasted chestnut. It is the perfect size for a family dinner, and, with pale slate blue skin and deep orange interior, makes a dramatic presentation. Long vines produce 4-5 mature squash, averaging about 7" in diameter and 4" high. Dry-farmed on the Eel River. 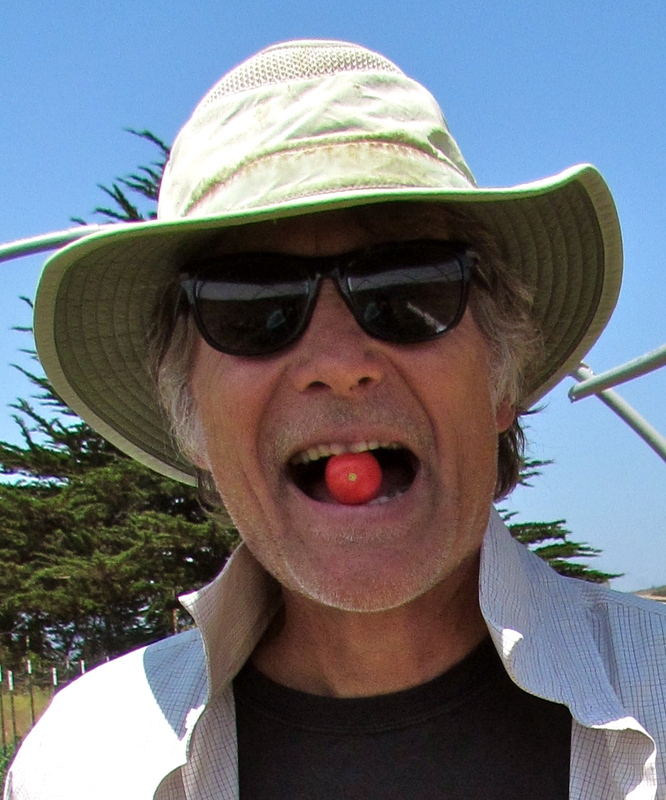 Bill has been selecting for fruits with minimal "buttons" on the blossom end, which means longer storagability. Pack (22 seeds) ~ $3. If you can only grow one plant in your garden, the odds are you'll want to grow tomatoes. They are the number one favorite crop for home grown goodness, plus, they are a super easy veggie from which to save seeds. Steve has been working for awhile now with renowned tomato breeder Kanti Rawal. Their goal is to develop varieties which feature the rich flavor of favorite heirlooms, but eliminate the poor qualities, such as low yield, short shelf life, lanky plants, and tendencies to crack and "cat-face". The varieties below are the initial results of their efforts. Future improvements are expected as crosses are stabilized; part of our on-going work at Seed rEvolution Now! Here's a mid-sized, early maturing determinate tomato that is juuusst right! Tasty, juicy 6-8 ounce blemish-free, round, bright-red fruits offer exactly what you want in a tomato. On top of all that, this is a high-yielding variety. 1 gram (280 seeds) ~$10. This scrumptious variety scored at the very top of the list for every one of our tasters! Juicy, sweet/tart, with the umami flavor of the chocolate tomatoes; this is what we all want in a homegrown heirloom tomato. This is a red/green Russian type with incredibly delicious, complex-flavored fruit. Somewhat late-maturing fruit is grown on extremely vigorous, indeterminate plants. This unassuming little tomato packs a surprising punch of deliciousness! Brandywine Cherry had a huge harvest window of fantastically flavorful little gems. AND it's the earliest tomato we have ever seen! A very high-yielding determinate plant. Another triumph from long-time tomato breeder Kanti Rawal, who crossed an heirloom Brandywine with, among other things, a prolific cherry tomato to achieve this blemish-free, full flavored heirloom-of-the-future. These tomatoes were grown in Steve's coastal plot with absolutely NO irrigation. The flavor of dry-farmed tomatoes is becoming justly famous with cognoscenti foodies. This is a really beautiful, blemish-free small salad-sized tomato. This is an open-pollinated variety with the famous Brandywine heirloom in its genes. Deep pink fruits score high on well-balanced delicate flavor and mouth-watering texture. It is a reliable producer of 2-3 ounce fruits on sturdy, high-yielding determinate plants. Here's an OP that gives Gold Rush a run for its money! When we grew them both in a trial, the yield was very similar, but Goldie had less disease, and actually the harvest began a bit earlier and lasted a long time. The abundant, juicy fruits have a nice, spritely flavor and are sweet and firm. This is a determinate grape/plum type, with huge tresses of crack-free fruit which shows extended shelf life. This variety was particularly adapted to dry farming. This mid-sized slicer has tasty fruit of 6-8 ounces each. Robust indeterminate plants show very little disease. Although this tomato is a bit late to mature, the yields come on strong and heavy. It was Steve's late-season favorite for its big yields and excellent eating quality. This variety performed well when dry-farmed. 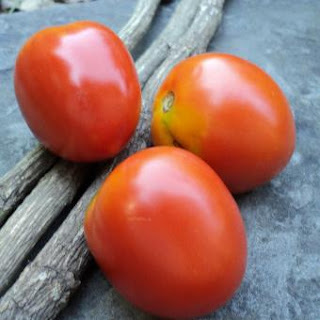 The perfect choice to top off a tasty burger, this deep red, richly flavored tomato runs 6-10 ounces apiece. It was bred in Michigan, but does well in California, both on our cool coastal and warmer inland sites. Indeterminate plants produce nice heavy yields of smooth, attractive fruits. This breezed through our trials, scoring very high in flavor and texture. Absolutely no toughness, it has a sublime mouth-feel and an excellent acid/sweet balance. This slicer has fruit of 10-12 ounces each. Healthy indeterminate plants show very little disease. Fruits mature mid-season. Above-average yields. Here's a very unusual variety which produces greenish-yellow, flattened 6-8 ounce fruit whose flavor and mouth feel resembles a cross of kiwi and mango! Mid-season maturity fruit grown on medium-sized, indeterminate plants and relatively free from disease. Please note that this is a VERY delicate fruit, not suitable for shipping. If you really want to impress your friends, grow this amazing heirloom. It has huge size, fantastic flavor, very low acid, delicate texture, thin skin, and the most gorgeous colors! Meaty and juicy, with unmatched visual appeal, this is one you should try! Rangy indeterminate plants set glorious irregular lobed golden fruit up to a pound or more apiece. A shipping and handling fee appropriate to each order will be applied. We are always eager to hear how these varieties perform in other bioregions, and we're very interested to find other promising open-pollinated varieties in the public domain. Please, let us hear from you! In keeping with our mission to return seed autonomy to the farmer, we sell only the highest quality, organically grown, open-pollinated varieties that are in the public domain. Farmers are able save seed from these crops for their own use, selecting over time to improve varieties for their particular needs and conditions. This is one way humans may restore their place as stewards of biodiversity. The careful, hands-on evaluations and continuous, rigorous selection to which each offering is subjected assure that we are providing truly superior varieties. Viability testing is conducted for every variety each year. Seed prices are wholesale, fair and competitive. Our list is limited, but growing as we find more excellent crops that suit our exacting standards, and those of organic market farmers, seed companies, co-ops, and gardeners. For more information on some specific varieties, please refer to our other blog entries. Happy growing, harvesting, eating, marketing...and seed saving! Seed rEvolution Now is primarily an educational and consultation endeavor. We do not aspire to provide a complete inventory of all kinds of veggie seeds. Some vegetables, such as tomatoes and lettuce, are relatively simple types from which to save seed, and open pollinated varieties are well represented in the seed market. What is listed here are market-quality varieties of crops which are harder to find. We, Steve and Moria Peters, are familiar with growing and eating all of these varieties. You have our personal assurance of their exceptional quality for organic farmers and gardeners!